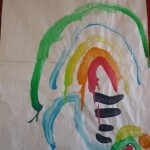 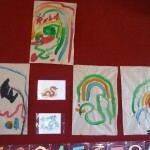 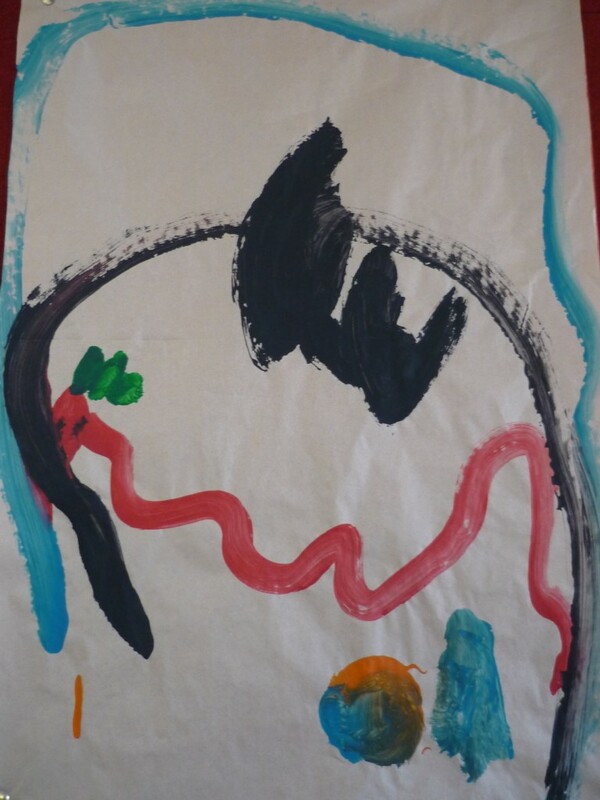 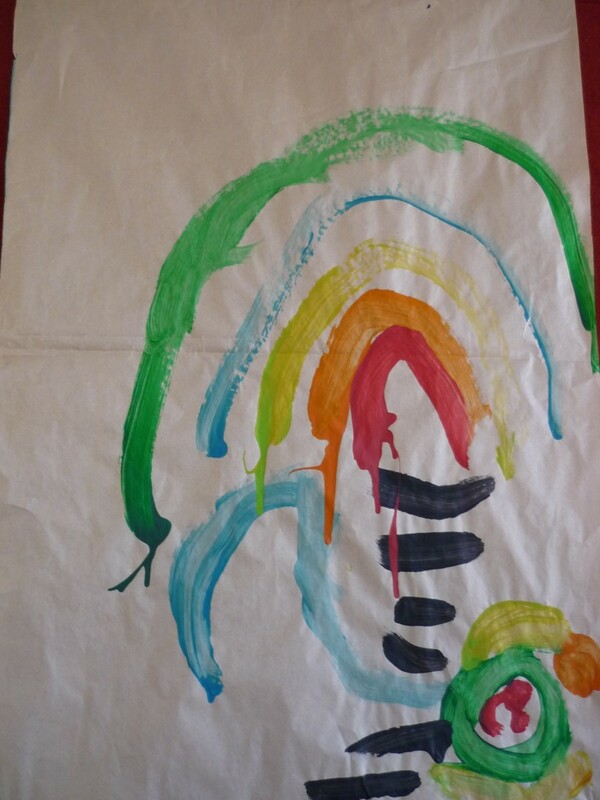 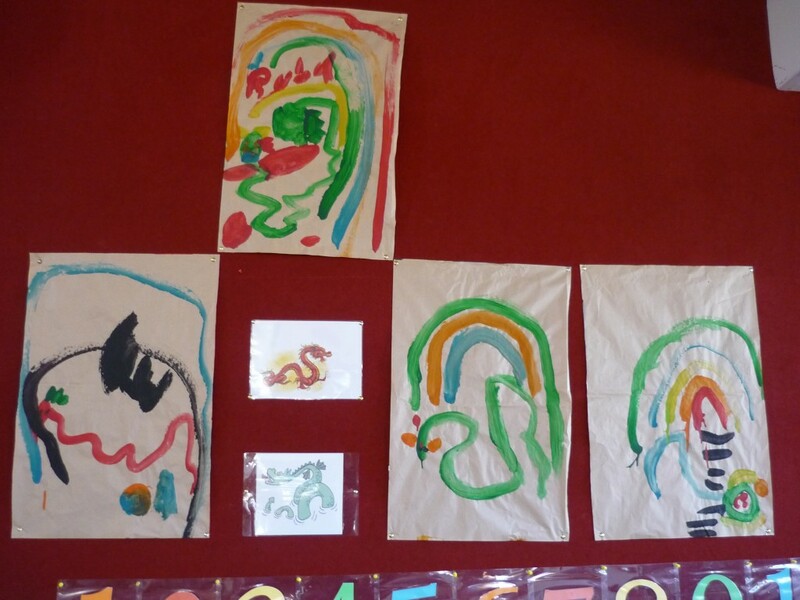 We are fascinated with Dragons at Pre School. 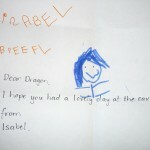 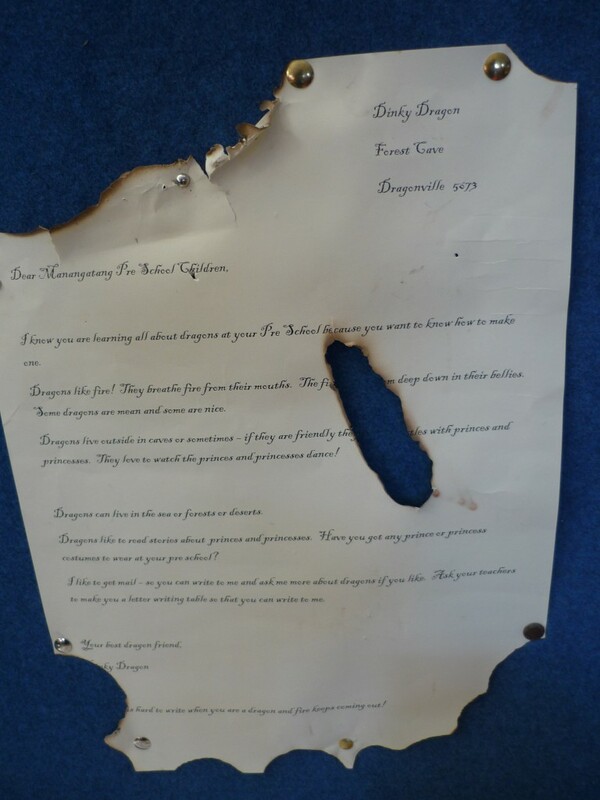 A Dragon called Dinky wrote a letter to us to tell us more about Dragons. 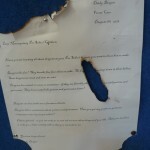 The letter was a bit burnt around the edges! 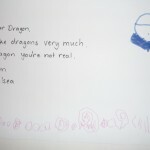 It is hard for dragons to write letters when they breathe fire all of the time. 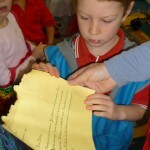 We have been writing letters back to Dinky. 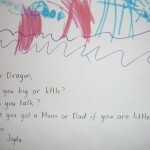 We ask him questions so that we can learn more about dragons. 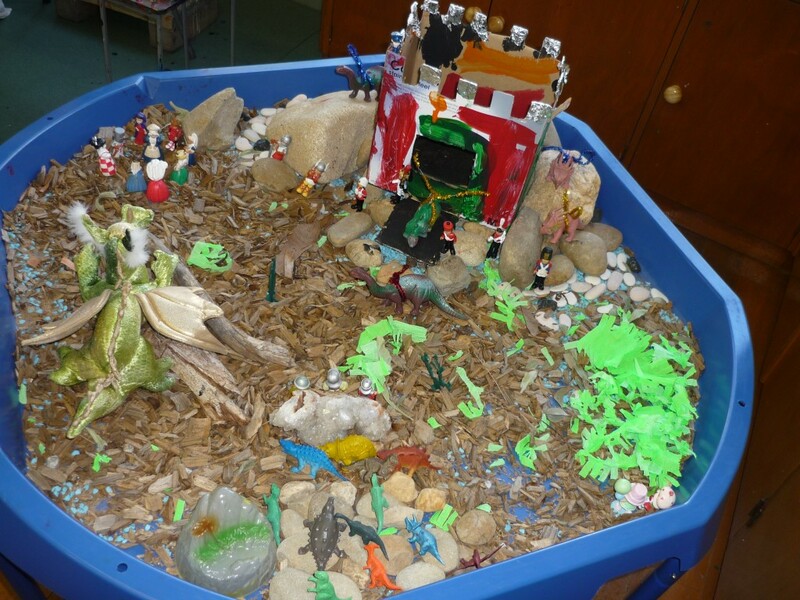 We have made a dragon world in our tray…. 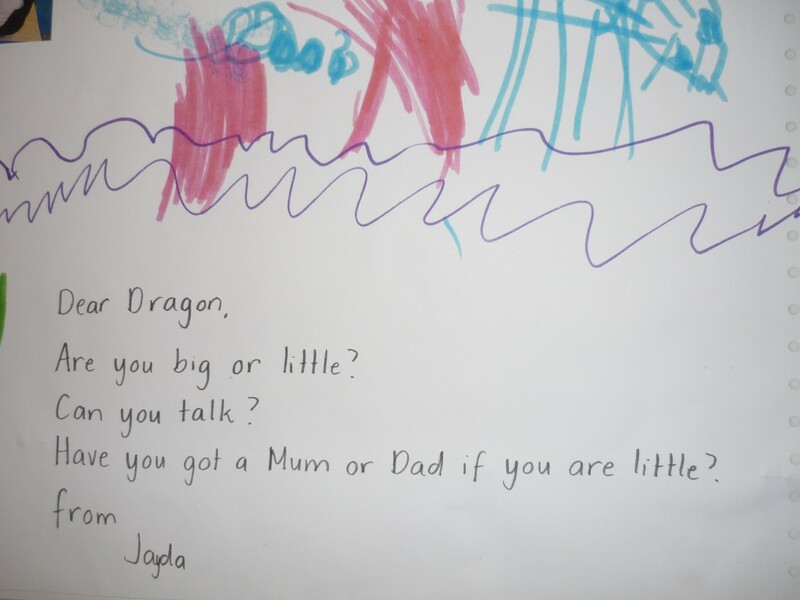 We are loving the Paul Jennings stories about Rascal the Dragon. 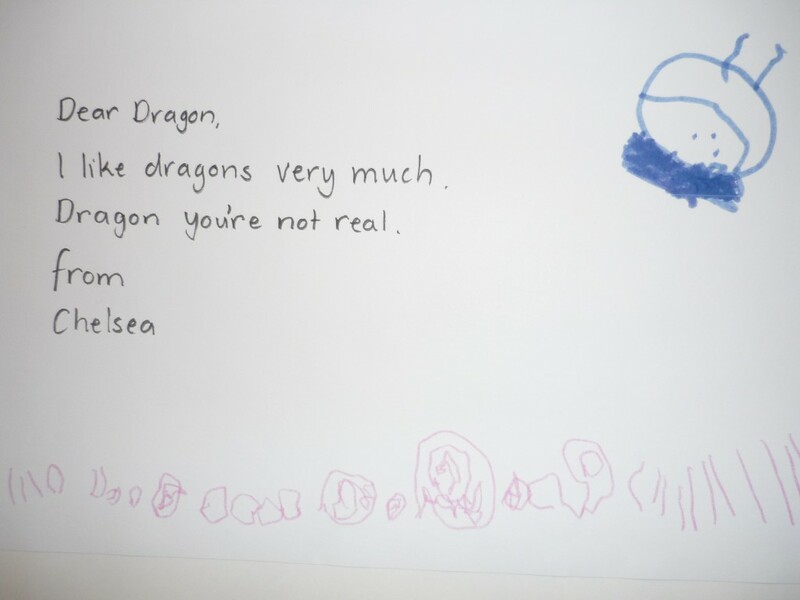 We know a lot about dragons. 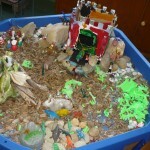 We dress up as princesses, knight and dragons and play in our box castle. 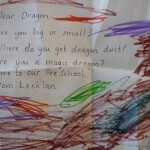 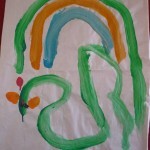 Now we know all about dragons, next Term we are going to make our own dragon. 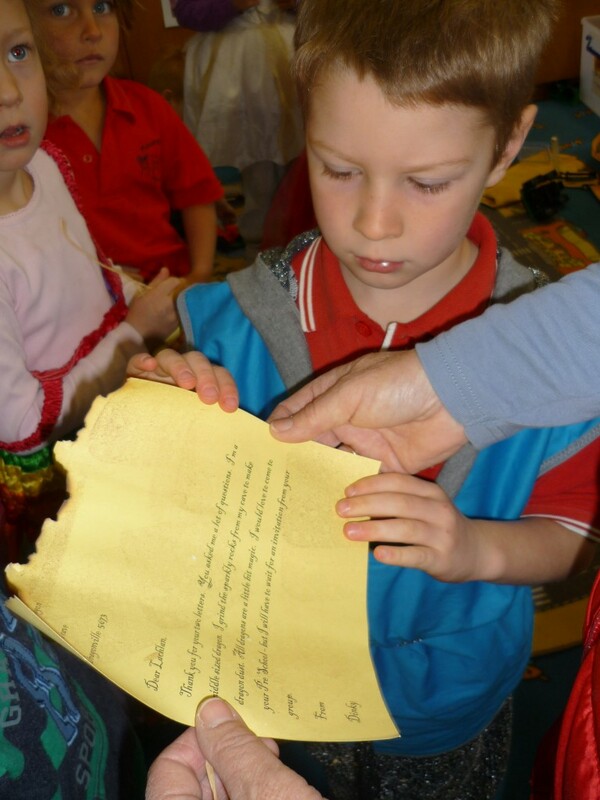 We love the Poem called Dragons Kisses and we have all taken a copy home to share. 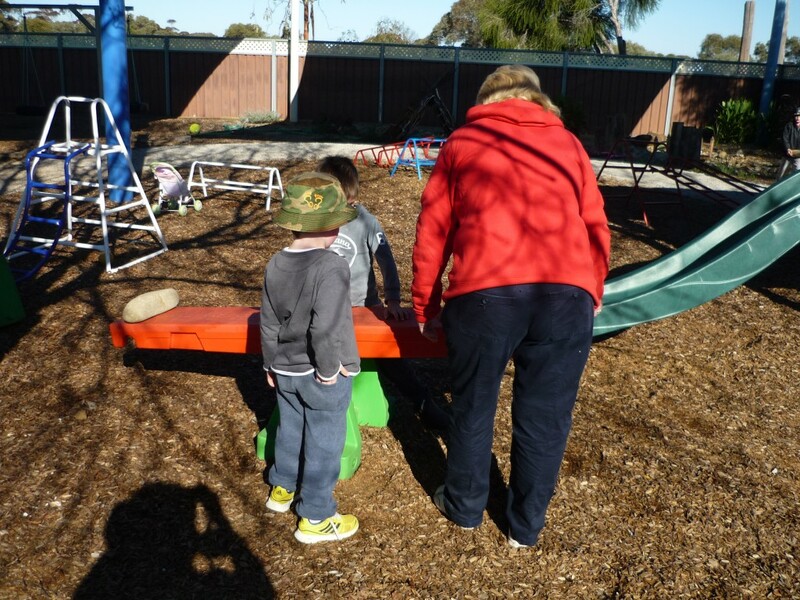 Mrs Gayle celebrates a special birthday this week. 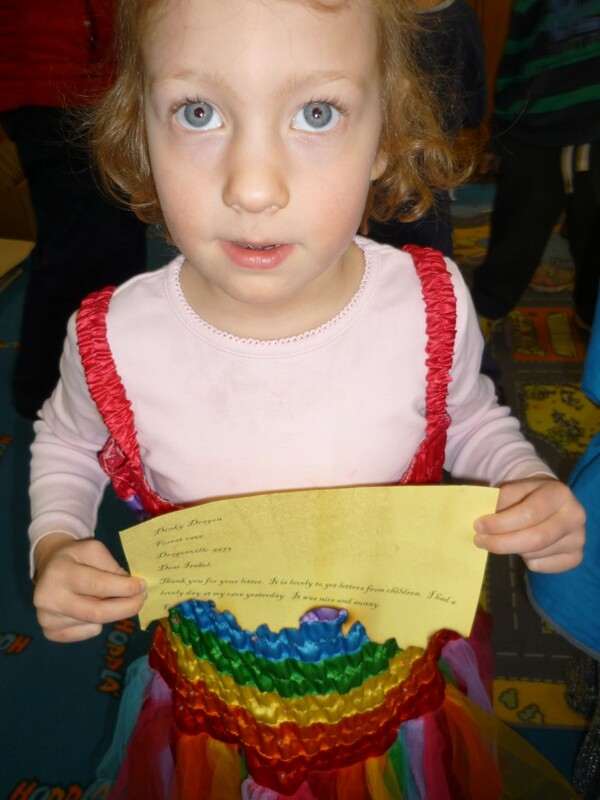 We organised a ‘surprise’ party for her. 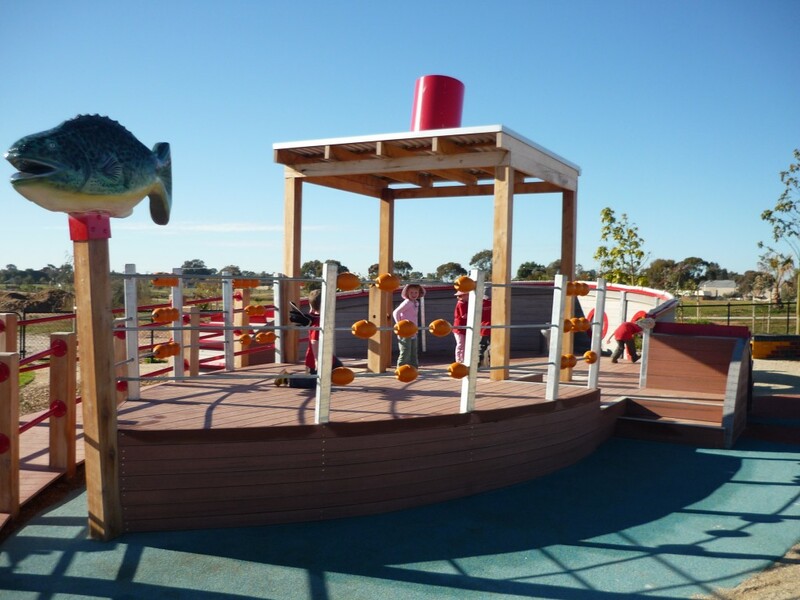 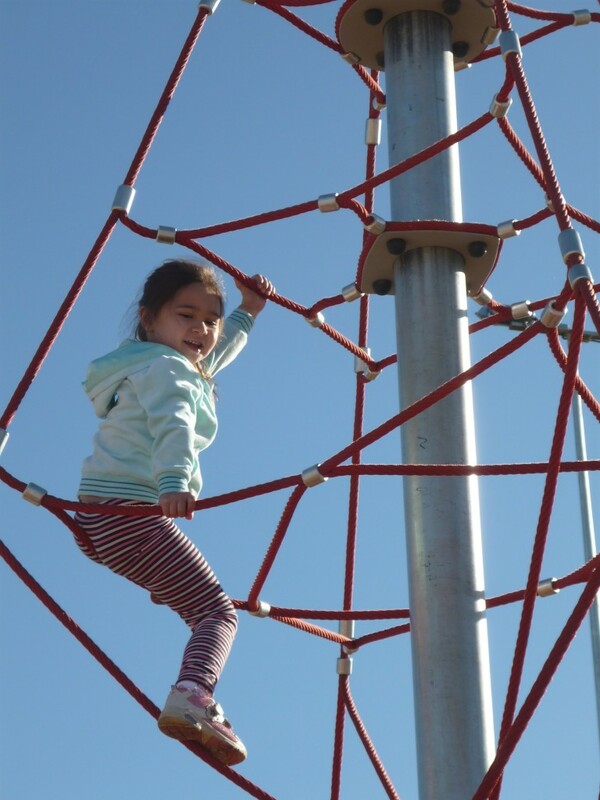 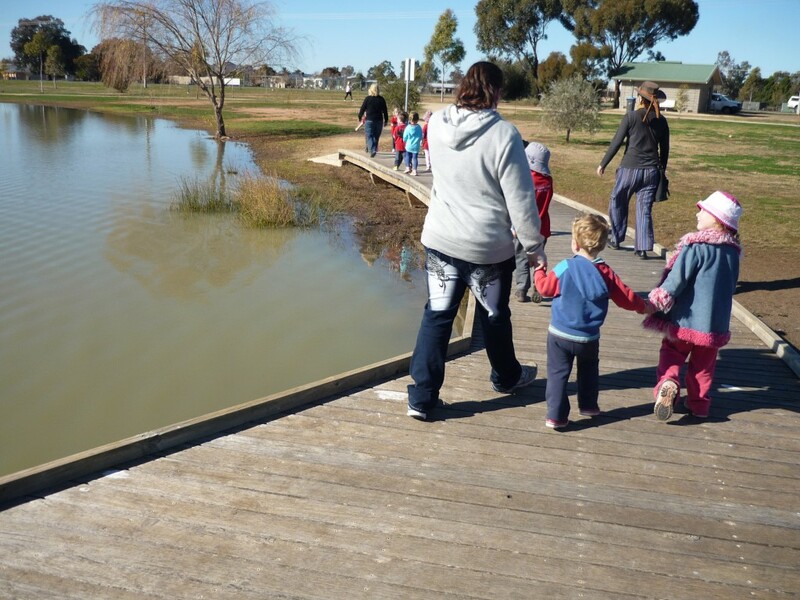 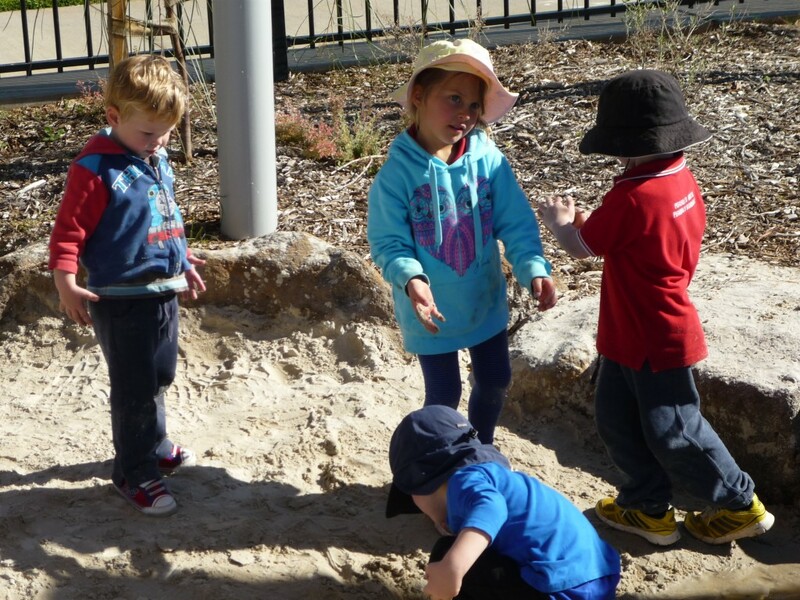 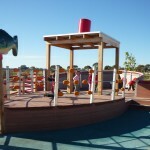 We went to Swan Hill to visit the new park at Tower Hill. 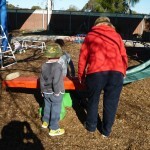 Lots of parents came too. 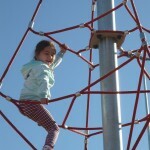 It is an amazing park. 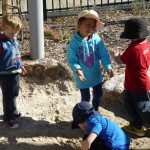 The children had a great day. 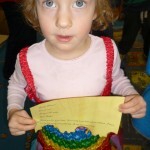 We celebrated with a birthday cake. 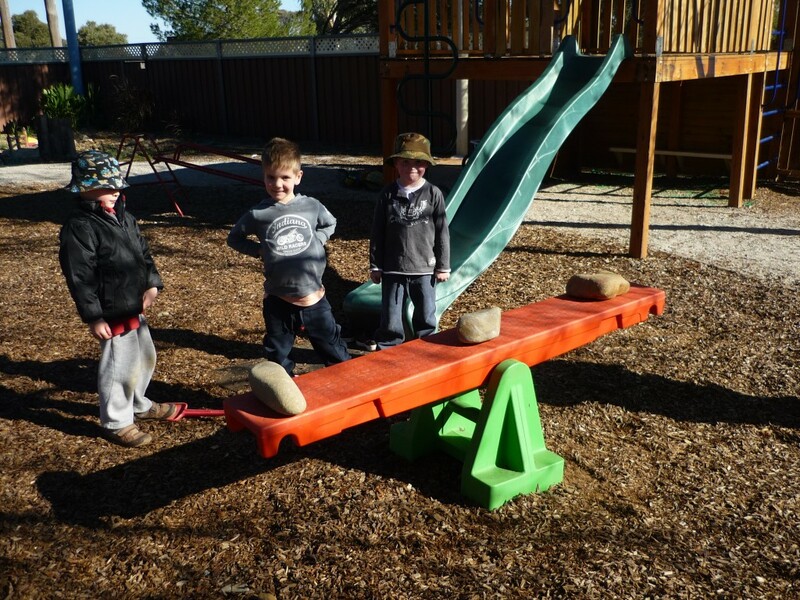 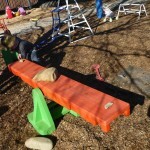 Our see saw became a giant balance scale this week. 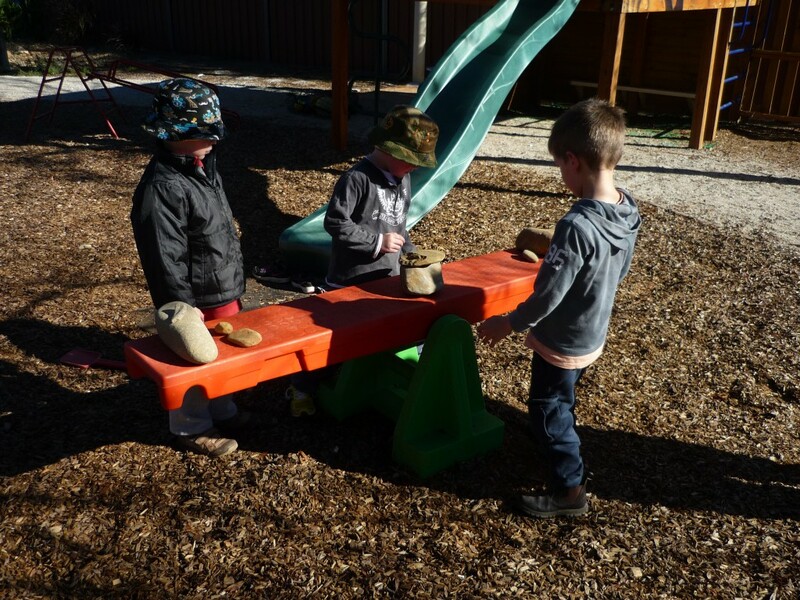 The boys were interested in using the rocks from the creek bed to make it stay balanced. 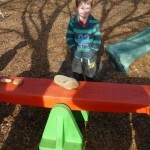 So Lachlan stacked his rock in the centre. 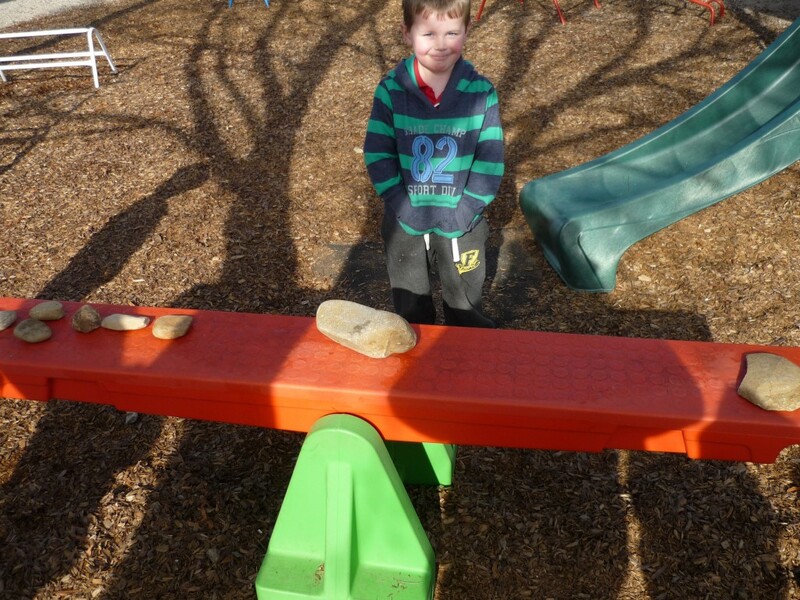 Cooper wanted to see if the rock would stay there balanced all night. 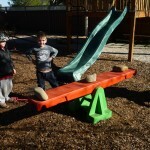 We set them up carefully at the end of the day. 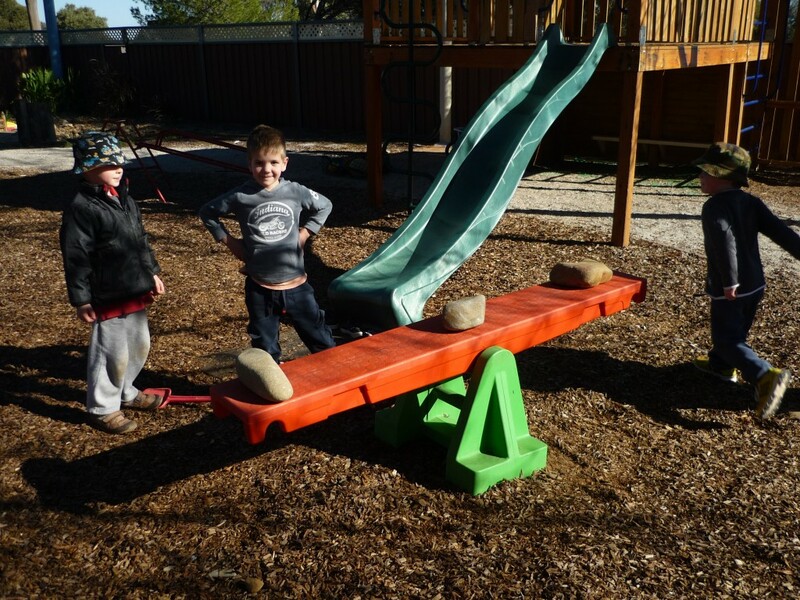 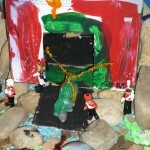 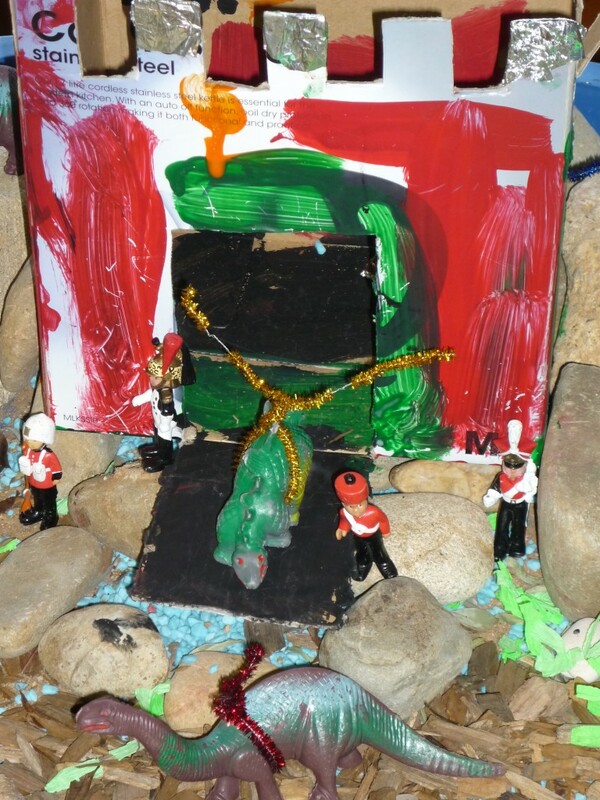 The teacher posed a question: What could cause the scale to over balance and knock the rocks off? 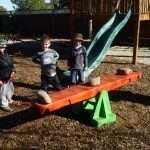 The next morning our scale was still perfectly balanced and the children were trialing a large rock and lots of small rocks. 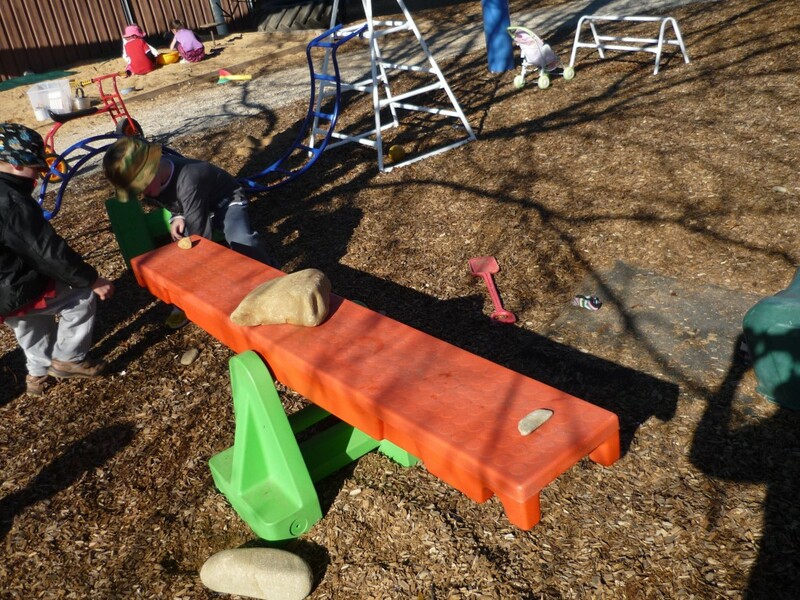 Chelsea wanted to put one more rock on – but Cooper was carefully protecting the balance. 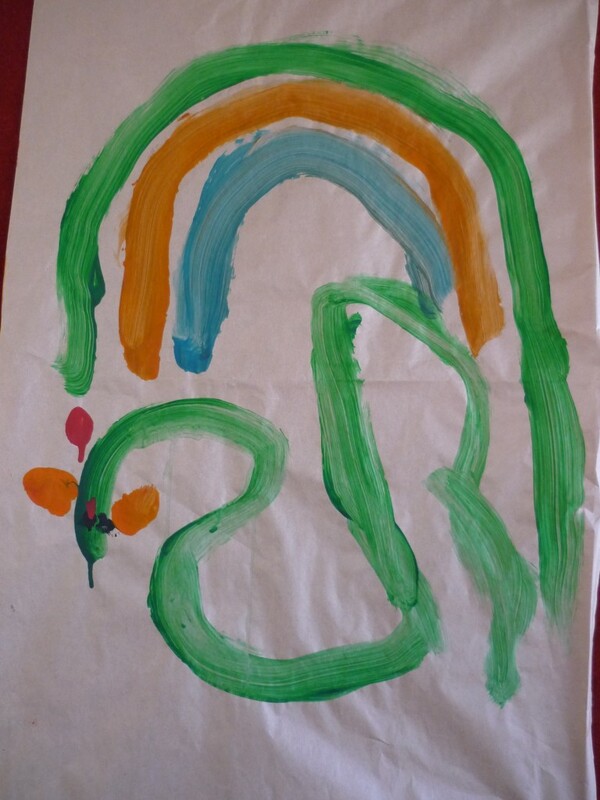 Just a reminder that tomorrow I am going to give a talk for 20 minutes after Pre School. 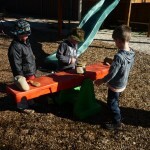 We will have a snack for the children. 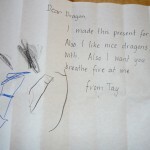 Today Tay said, “Mrs Grant, I’m thinking about making dragons.” Now we are all thinking about dragons. 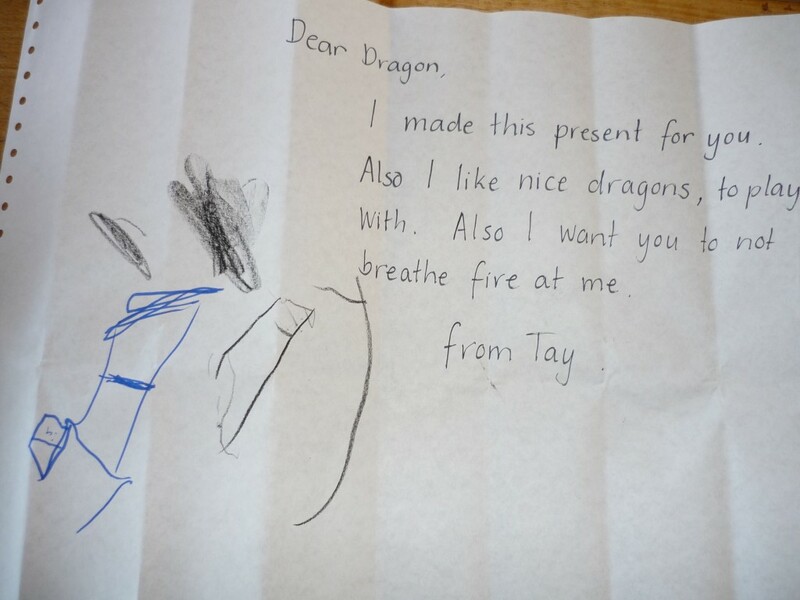 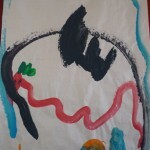 To make a dragon we need to learn a lot more about dragons. 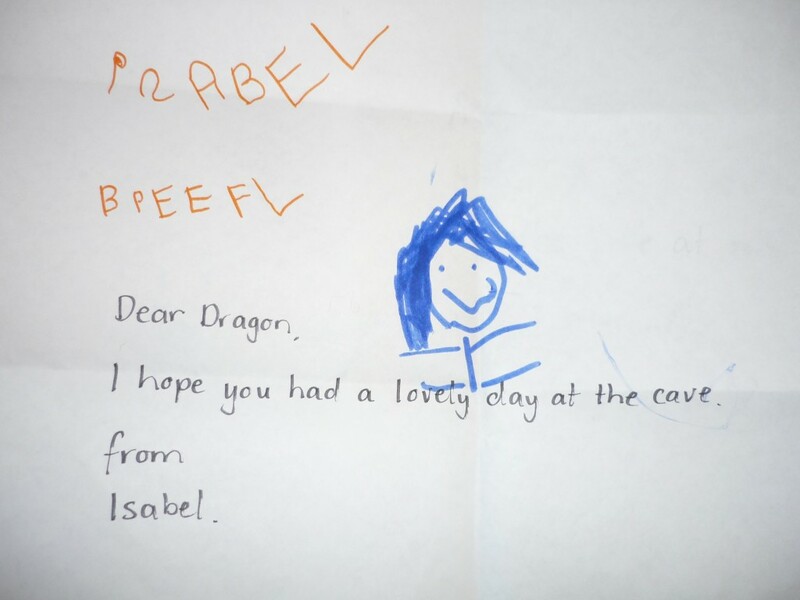 If you have any dragon stuff at home we would love to borrow it. 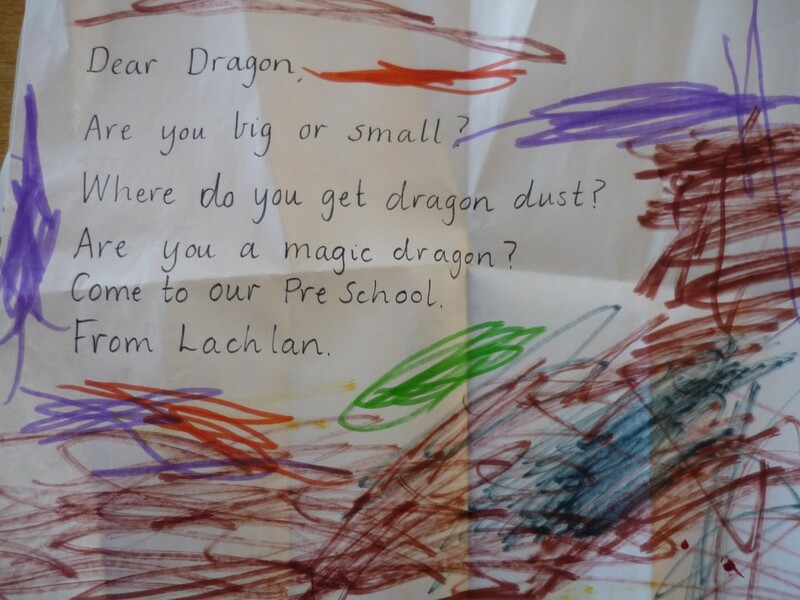 Also I have rang the Swan Hill Library to get a collection of dragon things for us. 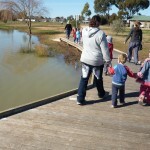 If anyone is going to Swan Hill during business hours could they please call in and pick it up?